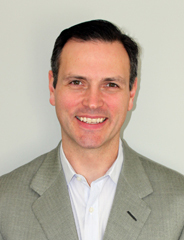 Dr. Mark Haupt, MD is the Chief Medical Officer of Ariel Precision Medicine, a company that provides digital health and genomics solutions for complex disorders, like pancreatitis. Dr. Haupt is a Pediatric Pulmonologist who has dedicated his career to helping patients with pancreatic disease through his work in academia, the pharmaceutical industry, and his current work with Ariel. As a researcher and clinician, I’m incredibly excited by advances in our understanding of pancreatitis and their potential to help pancreatitis patients. Pancreatitis patients suffer terrible pain, along with other symptoms, and are often frustrated at the lack of effective treatments. But today, thanks to advances in genomics (the study of genes and their function), we’re on a path toward developing those treatments. Mission: Cure is expediting these new discoveries and jumpstarting progress toward treatments—and eventually cures—for pancreatitis. What kind of testing should I get? What will testing tell me? How will it help? The ‘traditional’ approach to medicine does not adequately characterize the complex nature of pancreatitis or permit the identification and development of suitable therapies. Patients are often wrongly blamed for their own suffering. As a medical community, we often focus too much, or solely, on the role of alcohol in pancreatitis, a role we now know has been tragically overstated. This bias results in pancreatitis patients being offered few treatment options and little hope. But today, there is good reason for hope. Science is unraveling the mysteries of pancreatitis. We now understand that multiple factors in different combinations are involved in its cause and progression. We’ve made leaps in identifying those factors—especially the genetic factors. The dramatic increase in genetic testing is a part of that advancement. More conditions are being evaluated by genetic testing, more patients are being tested, and more genes are being investigated. It is hard to overstate the importance of these advances. Today we know that genetic variants (changes in the DNA, also known as mutations) cause or contribute to many cases of pancreatitis. Even in the cases where alcohol does play a role, genetic factors appear to predispose patients to the disease or accelerate the progression of the disease. We have identified multiple genes and variants involved and understand that some genes cause pancreatitis, while others affect how the disease progresses. Below is a list highlights some of the genes that researchers have found to cause or contribute to the progression of pancreatitis. 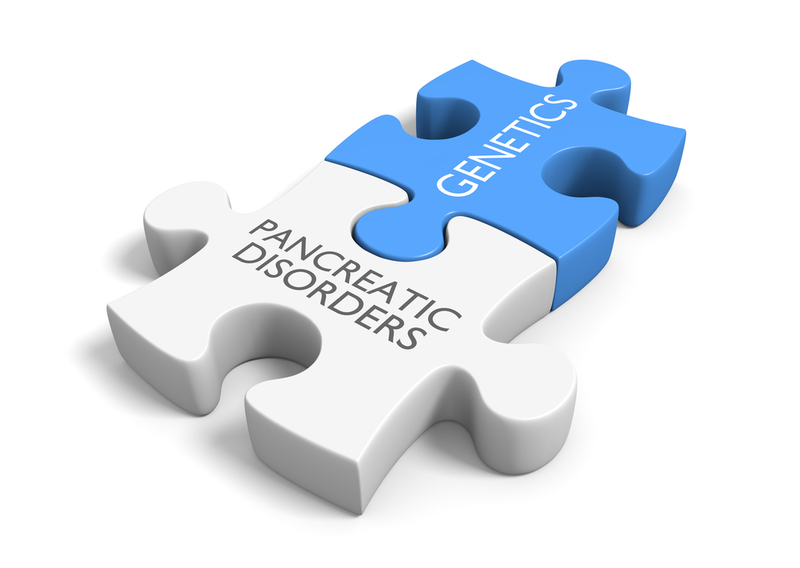 As more people get genetic testing, we are increasing our knowledge about the specific genetic variants and other factors that cause pancreatitis and the biological mechanisms that underlie the disease. This means that we will soon be able to predict individual patients’ disease progression and outcomes. We will be able to better tailor treatments to each patient’s needs, linking the right treatment(s) to the right people. Over the long term, we will finally be able to move beyond treating symptoms; we hope to intervene earlier and slow or prevent the progression of pancreatitis. If you’re a pancreatitis patient, you may have questions about genetic testing. Current guidelines suggest testing for certain subgroups of pancreatic patients, such as unexplained recurrent acute or chronic pancreatitis, a family history of pancreatitis, or an early onset of pancreatitis. The bottom line is, in any case in which the cause is unclear, even if there is a history of excessive alcohol consumption, genetic testing can be useful. We also know that genetic causes of pancreatitis are quite common in children. The question of insurance coverage is also raised. Coverage depends on the plan. But, recognizing the importance of this information, insurance companies are increasingly covering testing. If you have specific questions about coverage, talk with the genetic testing company or your insurance provider. In many cases, the testing company has resources to help navigate this process. Genetic testing will identify if you have any changes in your genes that might cause pancreatitis or result in faster disease progression, giving you and your practitioner vital information: the type of disease you have, whether you have disease-modifying genes, and how your disease might progress without treatment. This information can also help determine whether any of your family members that may also be at risk. Lastly, genetic testing may help identify other tests that may be recommended such as screening for diabetes, cystic fibrosis or pancreatic cancer. In the near future, we also hope that genetic testing will help identify what medications might help you based on what genetic variant you have, similar to what happens in cystic fibrosis. We’re on the cusp of even more progress. Researchers are using this new genetic knowledge to identify possible treatments to slow or even stop the progression of pancreatitis. In the meantime, it’s important to educate clinicians about these new developments. Many doctors remain unaware of all but the most common genetic causes of pancreatitis and of the availability and usefulness of genetic testing. We need your help to get the message out. Patients can drive progress in treating pancreatitis by educating their providers. Our goal is to use our ever-increasing knowledge to deliver precision medicine: personalized treatment specific to each patient’s form of pancreatitis, as revealed by genetic testing. We look forward to continuing our partnership with Mission: Cure to make this new vision a reality and to finally bring effective therapies to pancreatitis patients.